The iPhone X may look like Apple's future, but looking to some of the phone's smaller features tell us what's coming after that. Apple’s annual Worldwide Developers Conference is generally the company’s blueprint for at least the next year, as it shows off improvements to its core platforms. But for the last six years, the company’s fall event has boasted a more tangible realization of that future in the form of a new iPhone. This year, Apple’s iPhone X made that future overt, with Apple indicating that it was once again skating to where the puck will be. But though that might be the most obvious indication of Apple’s future designs, there were a handful of smaller announcements sprinkled in the keynote that also indicated where the company might be putting its attention in the coming years. Cables are a pain. Yes, some people still swear to the virtues of ethernet over Wi-Fi and, hey, I’ll admit I have some of my devices still hardwired to avoid the vagaries of wireless interference, but those are the exceptions to the rule: wireless is king. After last year killing off the headphone jack and just this week getting rid of syncing apps to your Mac via a cable, it’s no surprise that Apple would want to tackle the last remaining need for a cord on an iPhone: charging. The current wireless charging technology, which is based on magnetic induction, isn’t that new. If you’ve had an electric toothbrush in the past decade or so it’s probably relied on induction charging. I was seeing wireless charging cases and power mats shown off at CES nearly a decade ago. It’s got its benefits, but also its limitations: it tends to be slower than a cable and it still requires direct contact. But it’s also here now and it works. To me, the most interesting part of Apple’s discussion of wireless charging this week was in how it’s trying to push the technology forward. 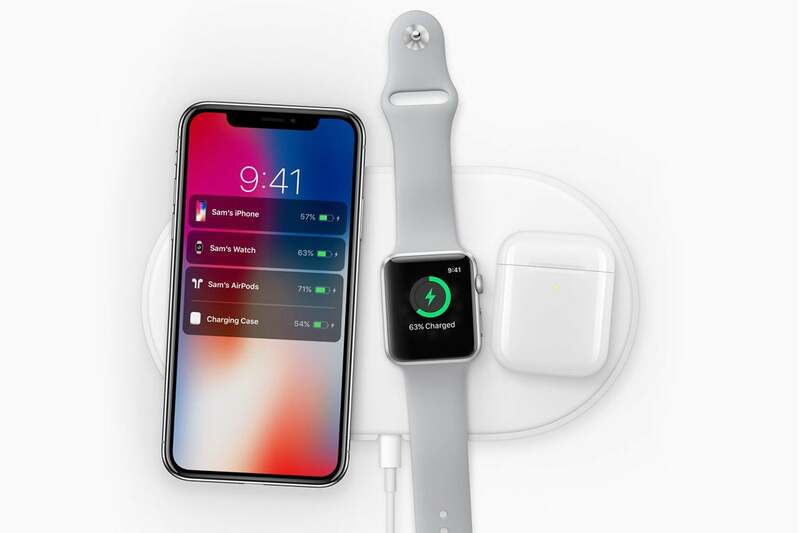 The company made a point of saying it was working with the Wireless Power Consortium because some of the features it was planning for the upcoming AirPower charger weren’t yet supported by the Qi standard. To me that says that Apple is far from satisfied with the state of the art and is still looking to make wireless power something more than what it already is—perhaps increasing the range, or adding the ability to charge other devices, like the iPad, or even a MacBook. And let’s not forget that this presages a future where Apple might even be able to get rid of the iPhone’s Lightning port, ridding itself one more troublesome piece of hardware that it currently has to design its devices around. Apple’s got a habit of bringing critical technologies in-house. Most prominently, starting with the original iPad, the company began using its own CPUs. Now, with the A11 Bionic chip, it’s ventured into designing its own Graphics Processing Units (GPU) as well, replacing the Imagination PowerVR GPUs that its devices have long relied on. That’s no small deal, for a few reasons. First off, graphics are, obviously, critical on iOS devices, where the screen is not only used for display but for interaction. Being able to exercise fine control over the most important elements of the interface provides opportunities for optimization. Likewise, 3D graphics and now augmented reality are both incredibly important elements of the mobile experience, and Apple can further optimize its devices to prioritize the kind of performance it wants. But GPUs can do more than just graphics. In particular, they’re really good at the kind of machine learning algorithms that Apple has started spending a lot of time and energy on. The Core ML framework that Apple introduced at this year’s WWDC can seamlessly use CPUs and GPUs for machine learning algorithms, and that helps achieve a balance of performance and efficiency—designing its own GPUs makes Core ML even more powerful. It also confirms the idea that if there’s a piece of hardware that Apple would benefit from making itself, you can bet it will. Speaking of hardware that Apple would like to supplant, the SIM is clearly on the company’s chopping block. The company’s been trying to shrink or get rid of this piece of legacy cellphone tech for years, starting with the switch to the micro-SIM format in the iPhone 4, followed by the swap to nano-SIMs in the iPhone 5. SIM cards can be useful—I’ve got half a dozen that I’ve bought in different countries while traveling—but they’re also the perfect target for Apple’s M.O. : they’re fussy, they take up a lot of space, and they, frankly, just aren’t used by that many people. That’s a trifecta—if Apple can find a way to replace this tech, there’s no doubt in my mind that it will. And it sort of has! For the last few years, the iPad has used an embedded Apple SIM, which lets you choose your provider on the fly, and even switch when you feel like it. You can also choose a different data provider when you’re traveling around the world. But it was this week’s announcement that the new Apple Watch Series 3’s cellular radio uses an e-SIM that solidified this theory in my head. In some ways, it’s a slightly watered-down version of Apple SIM. Though one model of the Apple Watch does support all four major U.S. carriers, your Apple Watch must currently use the same provider as your iPhone. But the fact that the e-SIM is tiny and embedded into the Apple Watch certainly suggests that Apple would love to go in the same direction with the iPhone, in part because of all the room it could free up—but mostly because I’m sure the company would be all too happy to get rid of that annoying SIM tray and the bent paperclips you need to access them.